Where is Urban Forestry Today? 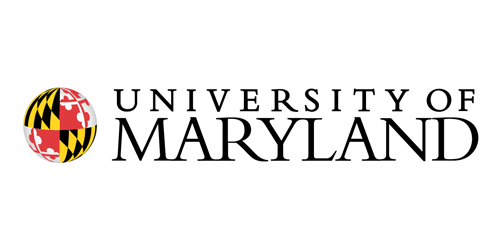 The Urban Forestry 2020 team was tasked with answering this question to inform strategic planning for the urban forestry profession and higher education. 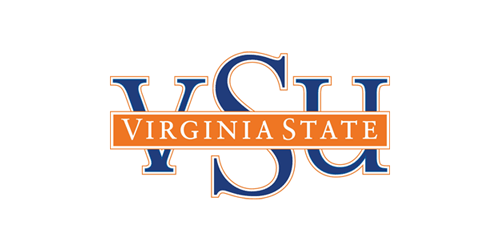 Our analysis used survey research, document analysis, and focus groups and we present the results of this work on this website. 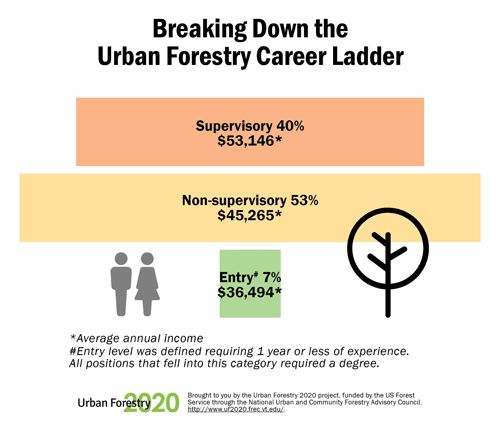 Peruse Urban Forestry 2020 research results and our visualizations to get a picture of the urban forestry profession of today—where the jobs are, what students think about a career in urban forestry, and the challenges of an urban forestry career. What can urban forestry do to better communicate amongst ourselves and to the outside world to move the profession forward? As research finds increasing links between urban forests and environmental and human well-being, the expertise of urban foresters is needed more than ever. 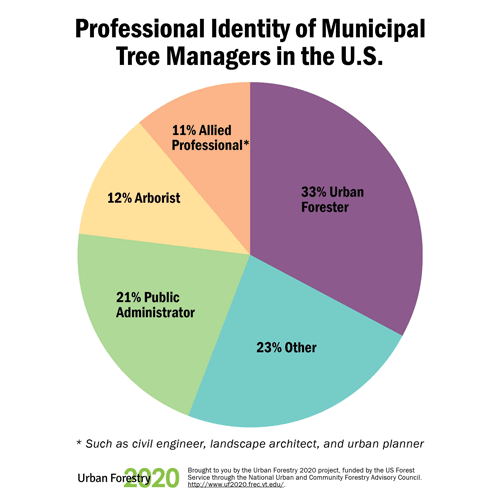 However, urban forestry continues to be a relatively unknown profession and the value of urban forestry expertise is often misunderstood. Urban Forestry 2020 has been grappling with these questions and has proposed research-based strategic recommendations to help position us to manage the urban forests of the 21st century and beyond. 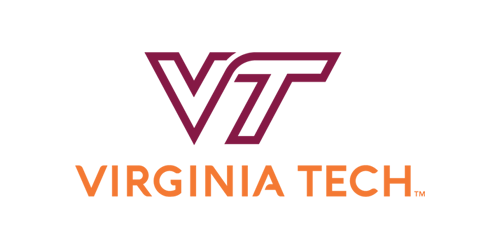 The self-ascribed professional identity of individuals who manage urban trees and greenspaces for local governments in the United States. Professional Identity of Municipal Tree Managers in the U.S. 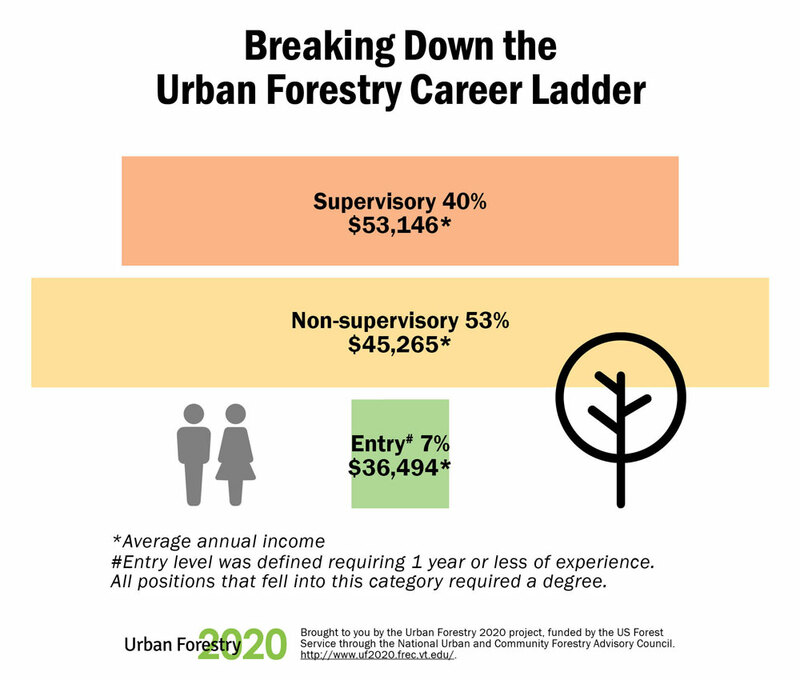 Relative number of entry level (<1 year formal education), mid-level and administrative jobs found in an analysis of urban forestry job postings in the United States. 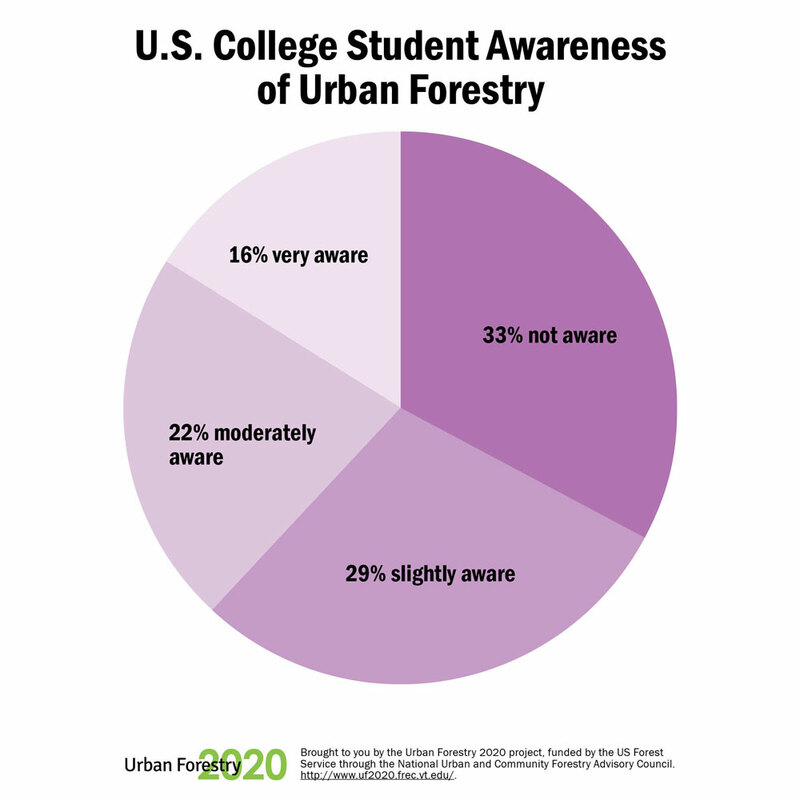 Level of awareness of urban forestry as a career option among US college students enrolled in environmentally-related courses. 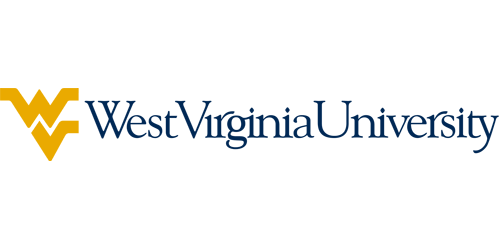 This project is funded in part by the U.S. Forest Service National Urban and Community Forestry Assistance Program as recommended by the National Urban and Community Forestry Advisory Council.